New York Times bestselling author Mary Monroe brings to life her most provocative and daring characters yet in this emotional and sometimes shocking tale of daughters lost and found, and the ways in which the past still haunts them. . ..
After years of living under Mama Ruby’s commanding presence, Maureen Montgomery is finally taking charge of her own life. 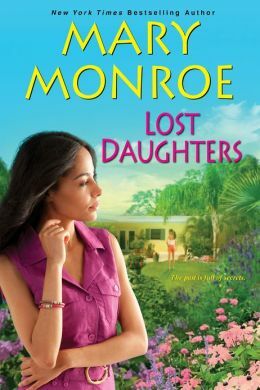 With her beautiful teenage daughter, Loretta, by her side, she returns to Florida after Mama Ruby’s death and settles into a routine that any other woman would consider bland. But for Maureen and her older brother Virgil, who grew up with Mama Ruby’s hair-trigger temper and murderous ways, bland is good. But Loretta has other ideas. Set on becoming rich and famous, she convinces Maureen to let her start a modeling career. And Loretta thinks Miami photographer Melvin Ross is just the man to make her a star. But even with Mel by their side, taking Maureen and Loretta’s lives in new directions, they can’t escape Mama Ruby. Neither can Virgil, who’s concealed one of Mama Ruby’s most shocking acts for most of his life. . .and is now living with the guilt of his deceit. Yet, as much as Virgil knows, he could never imagine the depth of Mama Ruby’s yearning for her daughter, or how much Maureen wants her own daughter to feel free to live on her own terms. For them, Mama Ruby will never die. . .and it’s not until Maureen takes on a bit of Mama Ruby’s strength to face down the past and forge new bonds that she’s able to make a future that is truly hers.